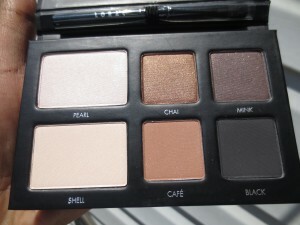 This pretty palette is a nice to have but not must have for my stash. 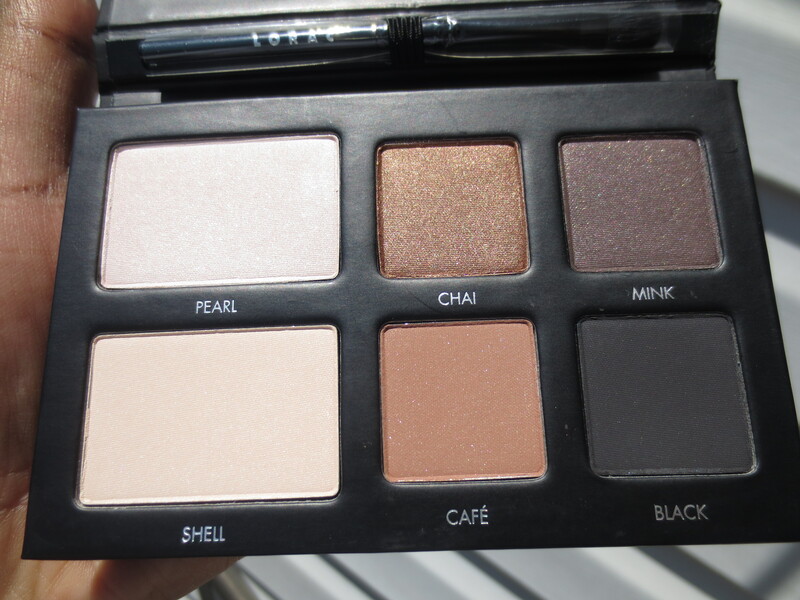 I love it but I love Lorac eyeshadows period. Some say they are powdery but I love how they blend so the texture has become a favorite of mine. 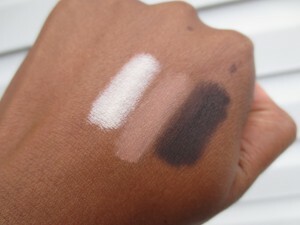 I tap off my eyeshadow brush before applying any color. So it works for me! Here are some pics. Remember you can click on a picture to make it bigger! After I used the palette I decided to swatch it. 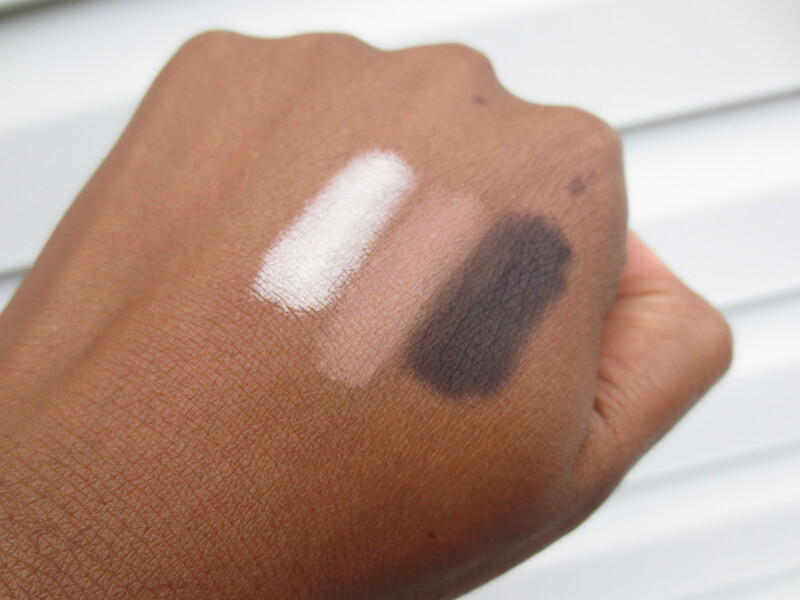 It was a cloudy day so my swatches suffered but here they are! I love the shadows! 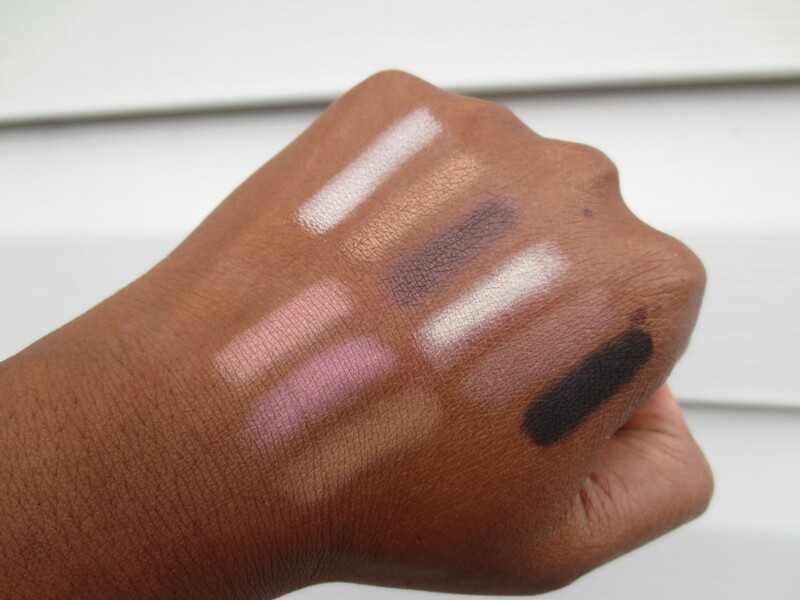 The shimmery shades and the mattes. 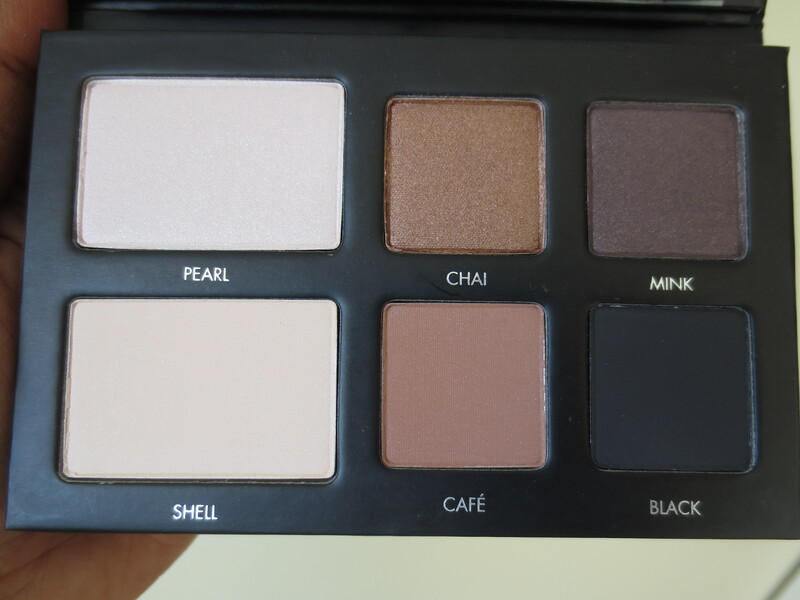 I have a soft spot for the shadow shade named Mink. 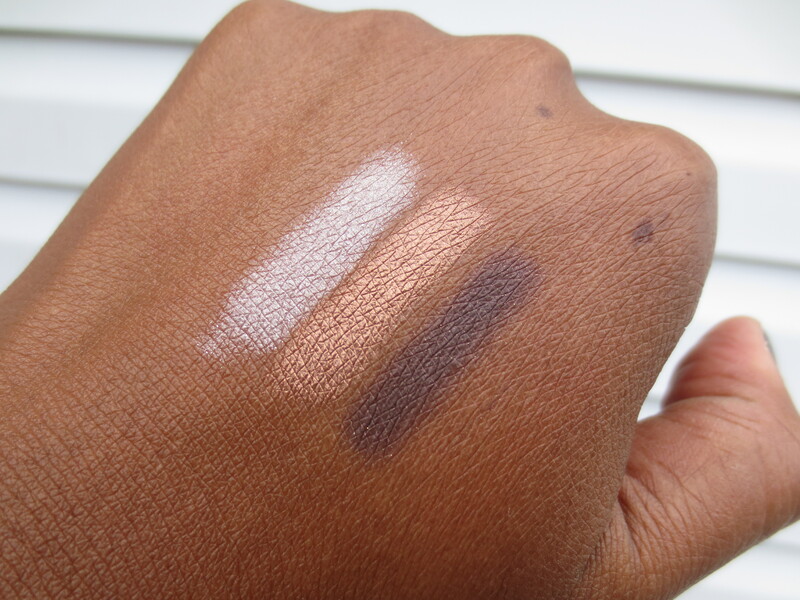 It’s a taupe-like brown shimmer. Gorgeous! It’s going to be a favorite of many I suspect. 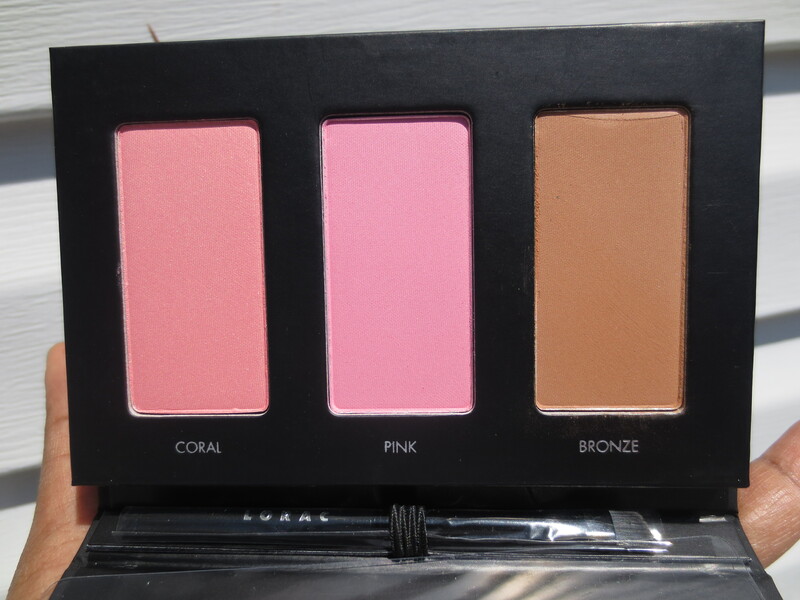 The blush shades and bronzer (it was nice on my eye when used as a shadow) don’t make this palette a must have for a Mac NC50 like me but I love the portability of this palette and I can make the colors work along with other products. 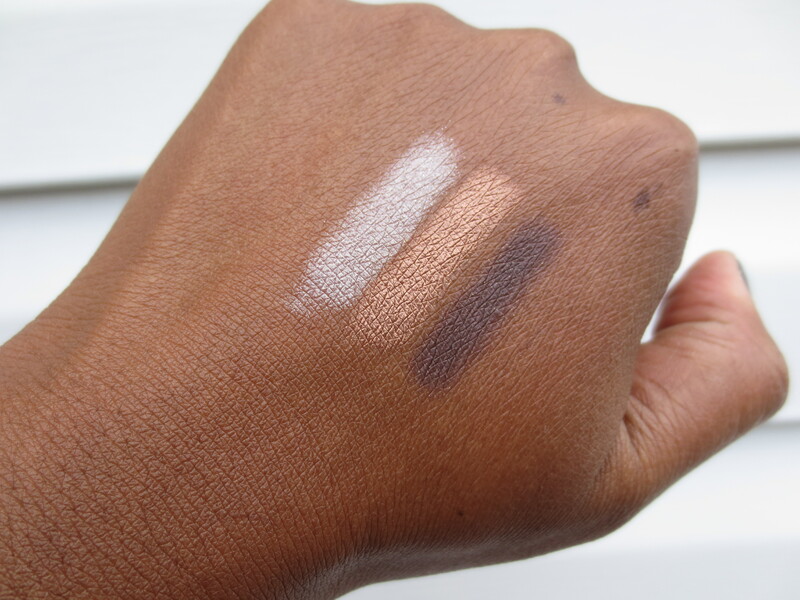 If you are a fair skinned beauty swatch this and consider it ASAP! 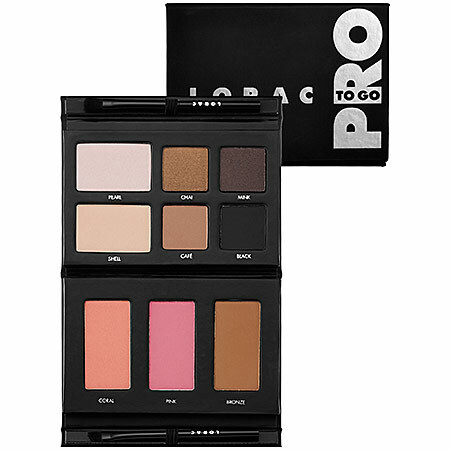 Especially if you don’t have the Lorac Pro Palette (swatched here) which I highly recommend to everyone. The only duplicate between the two palettes is the matte Black eyeshadow shade. 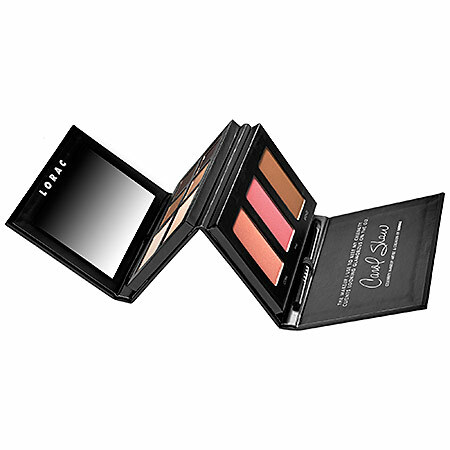 A professional palette of eye shadows, blushes, and bronzer to look glamorous on the go. Easily contour, shade, line, and define like a pro. 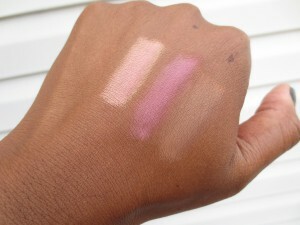 The velvety-smooth eye shadows and blushes are ultrapigmented and packed with long-lasting power. 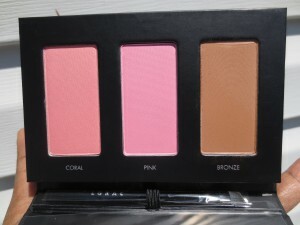 The set includes three shimmer and three matte eye shadows, two eye shadow brushes, two blushes, and a bronzer. This is the makeup that Lorac Creator Carol Shaw uses to keep her celebrity clients looking glamorous on the go. It’s nice, but I love my Pro palette. And for the price, i dont think so. I think so many people are going to feel that way. 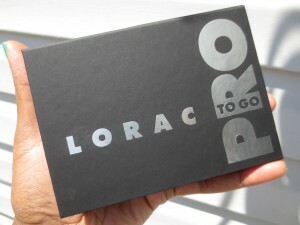 That Pro Palette is going to be hard to top but I hope the people at Lorac keep trying! 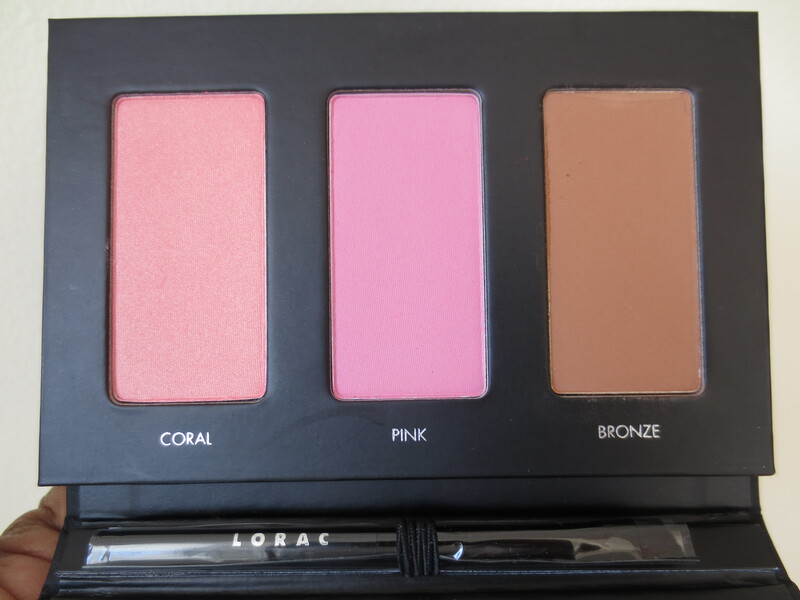 Gorgeous palette!!! I think it may be very practical due to its size and the fact that it includes two blushes and a bronzer. Besides, the eyeshadows are so pretty I’ll have to check it out.